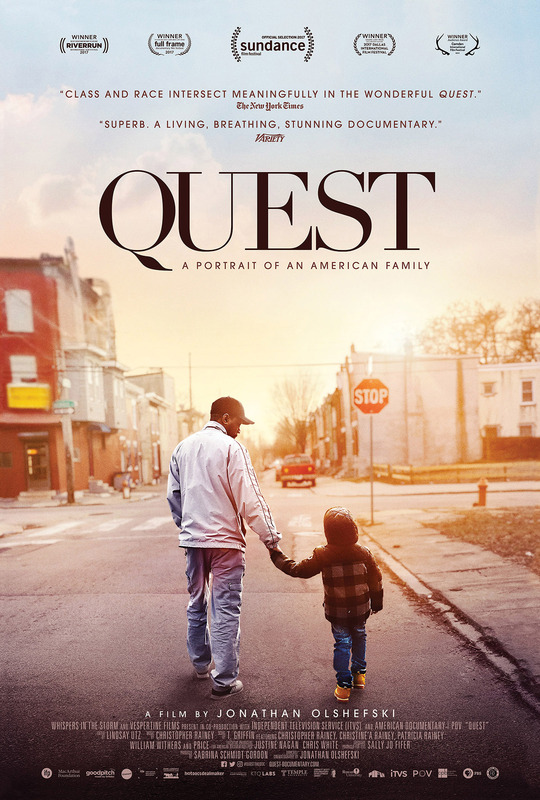 On Monday, March 26, the Libraries are screening Quest, a documentary by Temple alumnus Jonathan Olshefski, as part of our Beyond the Page public programming series. 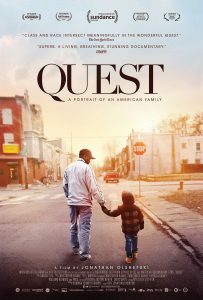 Filmed over a ten year period, the documentary portrays Christopher “Quest” Rainey and his wife Christine’a “Ma Quest” as they raise a family in North Philadelphia while nurturing a community of hip hop artists in their home music studio. Join us at 5:00 PM at the Reel Cinema (Student Center South, Lower Level, 1755 N. 13th Street) to watch the film and hear from the director and members of the Rainey family in a Q&A afterwards. All programs are free and open to all. I had the opportunity to speak with Jonathan ahead of the screening and ask him about his time as a Temple student, his experience working on Quest, and the films we all need to watch. Beckie: Can you tell us a little bit about your experiences as a Temple student? When did you know you wanted to study filmmaking? 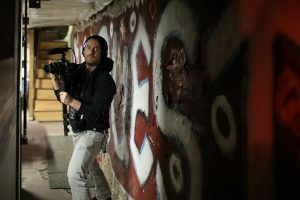 Jonathan: I grew up in Pittsburgh and started making little videos with borrowed consumer camcorders when I was in middle school, and then in high school I started making skate videos with my brothers and some friends that included a little bit of skateboarding and a lot of random craziness. We called ourselves Loathly Lady Skate Company. We started selling VHS tapes locally and on the internet. By the time I graduated from high school in 2000, I wanted to go deeper and continue to make movies. Temple had a film program with a great reputation and I was able to get in-state tuition so I moved to Philadelphia and have been here ever since. As an undergraduate I double majored in Film and Media Arts and English Literature. I ended up making a bunch of experimental videos and was introduced to interactive New Media, which really captured my imagination. My senior thesis project was an interactive narrative that weaves a number of related storylines together called Memoir: The Oral History. Technology is changing with Flash going out of style, but it can still be accessed online—http://whispersinthestorm.com/memoir/. I also developed a love for still photography and, after graduation in 2004, documentary photography. I started a photo essay with the Rainey family in 2006 and soon began to think that maybe there was a film there. In 2007, I returned Temple to make the leap from still photography to documentary film and started Film and Media Arts MFA program. This was the dawn of QUEST the film. I didn’t know at the time, but the journey would last longer than I or anyone else ever would have imagined. Beckie: I want to talk more about your experience filming Quest, but first I have to ask you about when you used to work here in the library! Can you tell us about that? Are there any ways it’s served you in your career? Jonathan: I was a clerk at the circulation desk and I would work the evening shift that ended at midnight. I’m a night owl, so it worked for me and as things weren’t too busy, it was a good opportunity to do homework or read. I mostly remember conversations with co-workers. I do remember that I looked pretty wild back then. I pretty much wore rags that were safety pinned together all the time. I would get some weird looks, but I was super polite and helpful and that would win people over. Beckie: That sounds like a pretty great student job! Back to Quest—you followed and filmed the Rainey family for a decade. How did you know the Raineys would be good subjects for a movie? What was it like being present for so many personal moments? Jonathan: The Raineys are just incredible people. They are community builders who go all out for their family and their neighborhood. The Raineys and I wanted to showcase the beauty and strength of the neighborhood from the point of view of the people who actually live there. 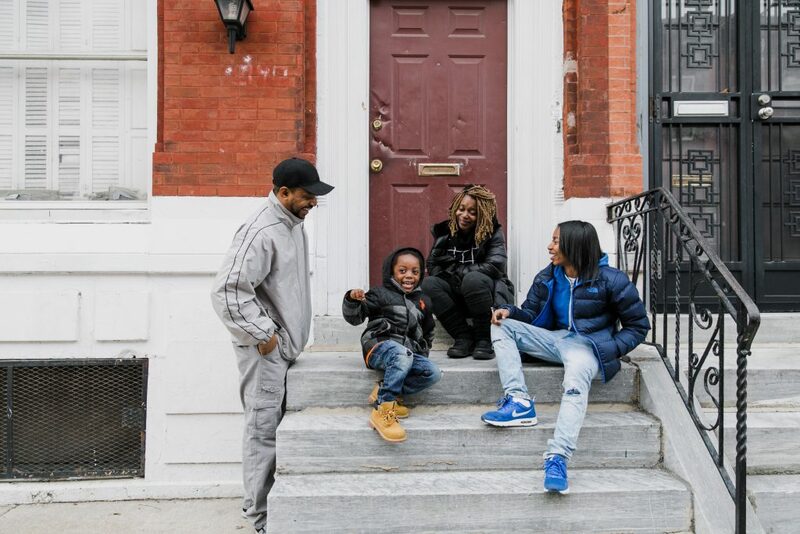 North Philly is often misunderstood, and this film provided us an opportunity to put the true story out there and really celebrate the strength of a community that is under siege from a number of angles. The Raineys became like family over the years. They embraced me as an artist and a collaborator, but also as a friend. There were a lot of ups and downs throughout the course of making this film and there were many times where I was laughing behind the camera and other times where I was crying behind the camera. The friendship and the trust that comes with it is what made this film possible and I am really honored to have shared so many personal moments with the Rainey family and their community. I’m just happy that we all feel good about the final film and we are all working hard to ensure that the film has a real impact in our world. In a lot of ways we are just at the beginning because we want to use QUEST to support the Rainey family’s mission to build community and bring healing to North Philly and places like it. Beckie: It seems like part of what allowed you to finish the film was winning a MacArthur Foundation grant in 2016—congrats by the way! Where were you when you found out you won? What did that grant enable you to do? Jonathan: I got word of this in December 2015. I don’t remember where I was exactly, but I know that it was a crazy week. To the point of being almost surreal. Not only did we get the MacArthur Grant, but we also received word that public TV wanted to support that project through a co-production with ITVS and I also learned that I was approved for tenure at Rowan University. I never had three long-term, high-risk investments pay off over the course of a few days like that before or since. 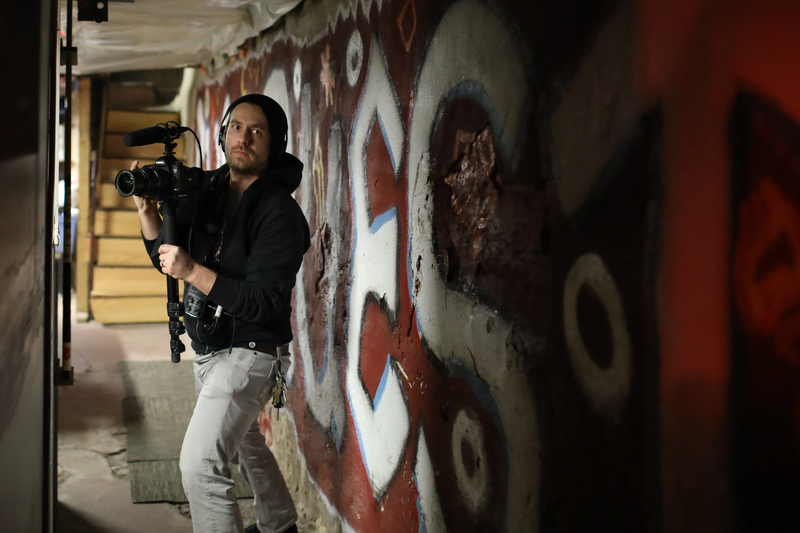 The MacArthur grant provided an incredible boost as it paved the way for us to jump full steam into our post-production process and really embark on editing the film. Beckie: That definitely does sound like a crazy, incredible week! And thanks for mentioning the fact that you also teach filmmaking. For those of us studying or interested in documentary filmmaking, can you suggest any essential films or directors we have to check out? Jonathan: Oh man! There’s so many. I really connect to a film called Dark Days. It was made by a first-time filmmaker. It is a really interesting example of what can happen when a filmmaker collaborates with his subjects to tell a story and takes his time to really convey the spectrum of human experience and not just parachute in for the sensationalized surface story. So many amazing documentaries were released in 2017 alongside QUEST. I am just very proud to be part of such an incredible group of storytellers. See these films as most of them are now available! Beckie: Thanks, I will have to check some of these out! One final question—are you working on any projects right now you can share with us? Jonathan: I started filming with another incredible family in 2011. I hope to introduce everyone to the Fiddler family in the next couple of years with a film that is currently titled Without Arrows. Beckie: I look forward to that very much! Thanks, Jonathan, for sharing your time with us and I cannot wait to see Quest next Monday. This entry was posted in Programs & Events, Top News and tagged beyondthepageTU, Top News by Rebecca Dashiell. Bookmark the permalink.